Weight loss is hard enough, isn’t it? The blessing and a curse when it comes to trying to lose weight, is you are going to make mistakes in your journey. There’s no getting away from mistakes. They are proof that you are trying, after all. A lack of commitment and consistency is probably the biggest mistake you could make when trying to lose weight. So, let’s assume you are committed. And you understand you need to be consistent. Now you need to ensure you aren’t making common errors that will prevent you from making progress. Many of these mistakes are easy to avoid. 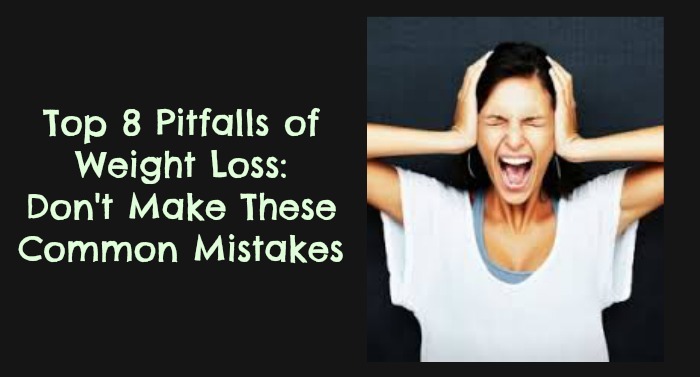 There are probably 1000 blog posts on common mistakes women make when trying to lose weight. But what many DON’T do is get specific. Or you should choose “organic” and “grass-fed” dairy products versus conventionally fed products to avoid inflammatory hormones, antibiotics, and GMOs? Almost all foods that have had the fat removed and are labeled “fat free” are going to contain fewer nutrients and be less flavorful than the “whole fat version. In fact, diet’s lower in fat, tend to lead to HIGHER fat gain. This article will help you avoid the most common mistakes that get in the way of achieving a flat belly. This list assumes that you aren’t doing any of the following things that are obviously not contributing to your lean body and optimal health and easy fat loss: smoking, drinking large amounts of alcohol, taking diet pills, drinking your calories (soda, juice, sports drinks), or not exercising. Cereal, toast, bagels, or frappachinos are a very poor choice for a meal, especially for your first meal of the day. In the rare case you can find cereal without tons of sugar, it’s always LOW in protein. I’m not saying you shouldn’t eat carbs for breakfast, because you probably should in the forms of oats, fruit, honey, and vegetables. In the morning, you set your tone and rhythms for the rest of the day. If you start off with a high-carb meal you’ll trigger a huge insulin response, which will send you into a vicious spiral of needing caffeine, wanting energy drinks, and with low energy (you won’t want to exercise or move). Start your day with protein and fat to set a positive hormonal cycle, keeping blood sugar steady and your metabolism high. Learn how to MACRO-BALANCING and CARB-CYCLING can BOOST your fat-burning potential by as much as 200 calories every day! Your liver is one the most important organs in the body when it comes to fat loss. I’m always concerned that the weight loss industry doesn’t spend more time discussing the importance of the liver’s role in weight loss. I’m not suggesting you use “juice cleanses” or “7-day detoxes” or other supplement protocols to detox your liver then go back to your old ways. The best long-term way to keep a liver healthy is to avoid inflammatory foods and eat anti-inflammatory foods. Alcohol, excessive caffeine, sugar, HFCS, estrogenic foods, conventional animal products, all lead to clogged, sluggish liver. First, drink plenty of water and start every morning with a glass of high-quality water, juice from 1 lemon, and a pinch of sea salt. This drink awakens your liver! Green and Yerba Mate teas are also powerful antioxidant, liver-cleansing foods. Click here to learn about the 31 signs you IMMEDIATELY need to detox your liver. Avoiding fat or eating a very low fat diet is probably a mistake we have all made. If you’ve gone low-fat or are considering dropping fat from your diet, you’ve been victimized by the ever-growing food industry. Before I go on to discuss the vital role plays in losing belly fat, I must warn you of a fat you should avoid, trans fat, along with its brothers and sisters, polyunsaturated vegetable oils. These oils cause metabolic syndrome, diabetes, hypothyroidism, insulin resistance, heart disease, and obesity. You need a healthy serving of fats daily because all the cells in the body are made up of two layers of lipids or fats, which will be composed of healthy fats or harmful fats depending on the type you eat. If the cell lipid layers are made up of healthy fats, it will make them more sensitive to insulin, which is necessary for a healthy metabolism and energy production. On other words, when your cells are sensitive to insulin, it allows glucose to enter the cell and get burned as fuel. Eating large amounts of trans-fats and polyunsaturated fats cause insulin and glucose to remain in the bloodstream leaving you vulnerable to diabetes, insulin resistance, and metabolic syndrome/hypothyroidism…which ALL prevent weight loss (especially belly fat). The fats you want your cells to be made of is saturated fats, monounsaturated fats, and cholesterol. If your hormones aren’t balanced and regulated, fat loss will be impossible. If your cortisol is HIGH, you’re going to lose lean muscle and eventually gain weight. If your insulin levels are high and your cells are desensitized to your insulin response, you’re going to have trouble losing weight. And finally, if you’re eating high-estrogenic foods and are being exposed to high amounts of estrogen, which leads to estrogen dominance your fat cells are going to grow and so will your waistline. In fact, your fat cells are tiny endocrine glands producing mostly estrogen, so as you can see it’s a vicious cycle of excessive hormones. Hormones that are normally quite happy can become furious from poor quality food choices and lifestyle habits like not sleeping enough, stress, and lack of exercise. For a more detailed article on the top 4 hormone imbalances that prevent weight loss, click HERE. These consequences lead to lack of motivation, drive, and depression. 2.) You won’t be bloated, gassy, and uncomfortable. It’s NOT normal to have diarrhea everyday, or be bloated and gassy every other day. Healing and maintaining a healthy and strong gut, will give you a better quality of life and a more attractive, confident body. The best and easiest way to heal your gut is to stop treating it like a garbage can, avoiding fast food, processed foods, frozen foods, caffeine, alcohol, and other inflammatory foods. In addition to gut supporting foods, eating foods high in probiotics like raw dairy products, sauerkraut, kim chi, and yogurt can help rebuild the microflora damaged from inflammation, antibiotics, and a poor quality of life. If you want to lose fat and/or get a flat belly the RDA (Recommend Daily Allowance) and DRI (Dietary Reference Intake) are useless. Most of the macronutrient DRIs are too low, which just fuels the low-calorie diets and weight loss scams. If you really believe low calorie works, wouldn’t our nation be slimmer, fitter, and healthier? Instead we are fatter, sicker, and diseased. And if you’re set on using the food pyramid dictate your food choices, make sure to flip it upside down. The food pyramid is full of myths, like eat more grains, eat animal products in moderation, and low in fat. The fact is, you should eat more fruits, vegetables, organic animal products, healthy fats, gluten-free grains, and drink lots of water. A study found nutrition labels were incorrect in estimating calorie amounts, because it only measures unprocessed calorie counts, not after processing, which can increase the amount of calories. An important concept to remember when it comes to your success in life and body transformation is to ALWAYS to opposite of what the masses are doing. Eliminating carbs might seem like a smart idea at first glance. Especially with the rise of Paleo, Low-Carb, South Beach, and the like diets touting major weight loss. And to be honest, this is a wonderful weight loss strategy for individuals who have diabetes, insulin resistance, or are morbidly obese. Low-carb will work…for a while. Because your body needs carbs. Remember, when I talking about fats role in the body, I mentioned glucose? Well where do you think your body gets glucose from? It’s your primary fuel source, so it’s clearly your cells favorite metabolic enhancing fuel source. Avoid glucose for too long and you’ll end up with a slow metabolism, lower muscle mass, and the weight will slowly start coming back. What do you get when you combine the calorie burning power of cardio workouts and the fat-burning effect of strength training? 2.) Metabolic training is essential for fat loss because it will burn fat, burn calories, improve insulin sensitivity, and make you stronger. In other words, it builds MAT (Metabolic Active Tissue), otherwise known as the ONLY tissue that burns fatty acids. Thanks for reading the article. I ask you take ACTION on what you’ve just read, instead of just clicking to another blog post looking for a miracle supplement. You can achieve the body of your dreams with commitment and consistency! Using my program The Flat Belly System you can not only avoid these common mistakes, but you can achieve the body of your dreams in half the time using my patended 3-Phase Nutrition System that balances your hormones, stabilizes your blood sugar, and helps you SHED stubborn belly fat.